The host Alessandra is an incredibly nice person. She took very good care of us and plenty of time to explain us all essential sightseeing spots. The location of the flat was also great. The apartment was large, quiet and secure. A metro stop and shopping was near. Very private and security was not a problem. Excellent location for shop/restaurant. Local station within walking distance. Alessandra is a amazing hostess, kind, she take the time to explain us the best things to see in Rome, help us to move in metro! If you are going to Rome, don’t hesitate to choose this place to stay! Location. Elisa is a wonderful person. Accommodated me checking in earlier in the day. Gave us free coffee, cookies, juice, milk..... Checked on us to make sure we were comfortable. Addressed our requests right away. 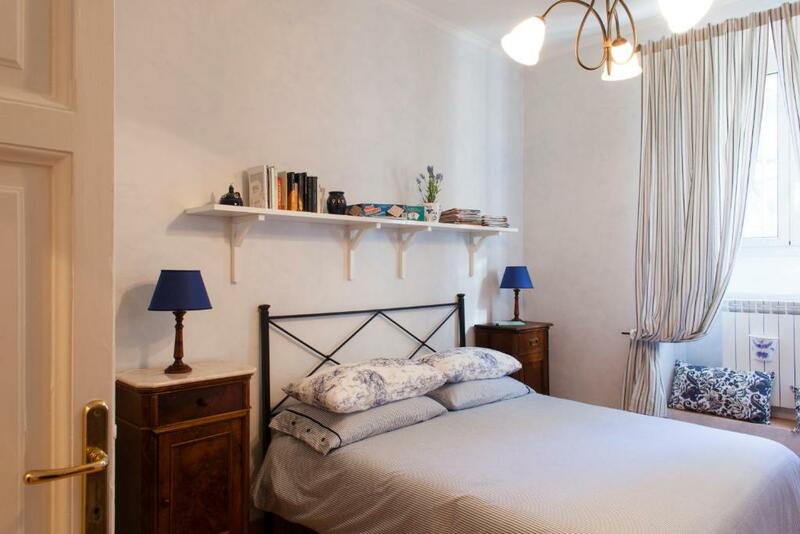 This apartments is situated in very cosy district of Rome, it’s very easy to find it, and it’s really very simple to get to it from metro or railway station. It’s not far from the city center , you can get there by foot))), by metro, by bus , by tram. The apartment is equipped very well about everything, We did not need to buy any things for kitchen, bath, and others. 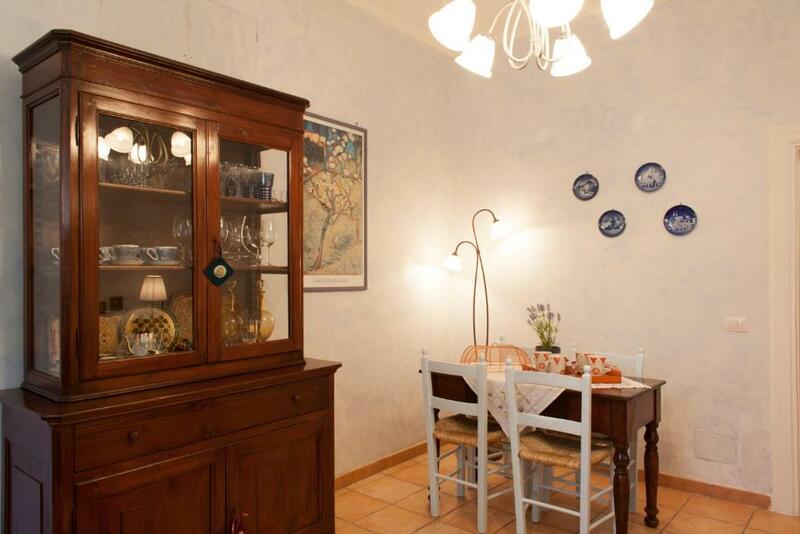 Alessandra was a lovely and helpful host, communication with her was very easy and quick. She also recommended us places worth visiting, as well as some nearby restaurants with fantastic food. 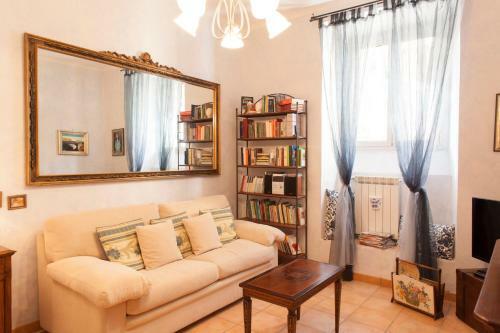 The location of the apartment was great, a few minute walk to Piramide metro station and Roma Ostiense. 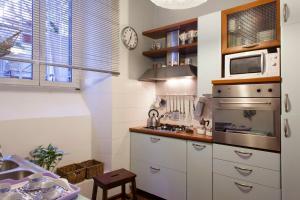 The apartment itself was comfortable and had a very well equipped kitchen - we found everything we needed there. 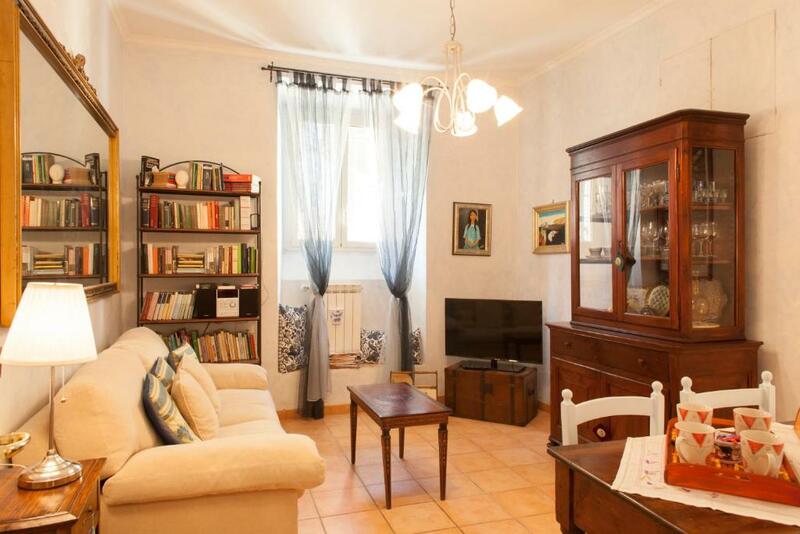 Lock in a great price for Elisa's House – rated 9.4 by recent guests! One of our best sellers in Rome! 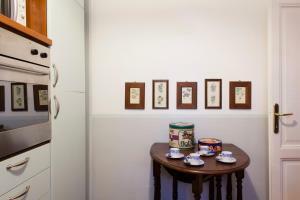 Elisa's House is a self-catering apartment located 1,650 feet from Rome Ostiense Train Station. The property combines ancient furnishings with modern-style interiors, and free Wi-Fi access is available throughout. The air-conditioned apartment has a kitchen and living room with sofa bed, flat-screen TV and DVD player. The private bathroom has a shower, free toiletries and hairdryer. Elisa's House is 1,650 feet from Piramide Metro Stop, with links to Rome center. The Circus Maximus is a 15-minute walk away, while the Colosseum is a 20-minute walk or 2 metro stops away. The Eataly food venue can be reached in 10 minute on foot. 뀐 Located in the top-rated area in Rome, this property has an excellent location score of 9.5! When would you like to stay at Elisa's House? 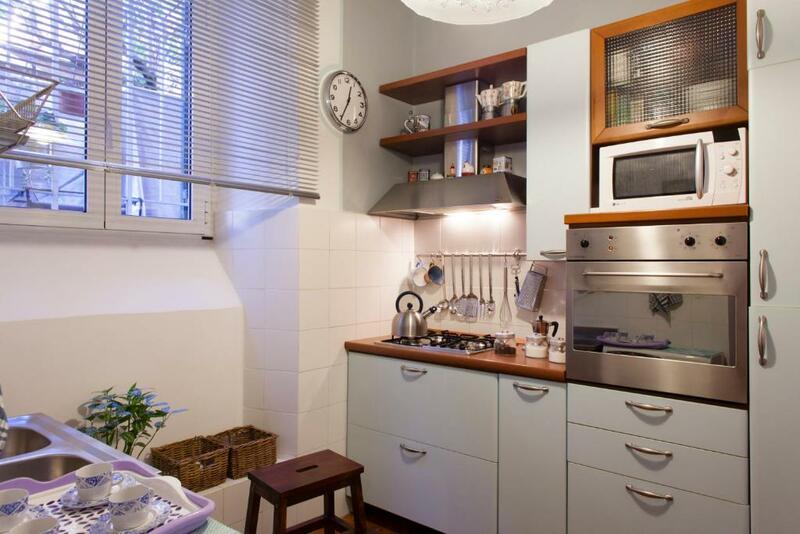 With free Wi-Fi, this air-conditioned apartment features a kitchen, living room and private bathroom with shower. The excellent logistics location allows guests to easily reach and visit the places of interest of the most popular and major tourist attraction in Rome. The neighborhood in which it is placed appears as a "thin golden chain" to limit the Pyramid, Caracalla Baths (the largest and best preserved ancient thermal complex in Rome), the Aurelian walls and the Ostiense area. Just walking in the sweet silence of the main street "Giovanni Miani", you can discover charming corners of the neighborhood, the residential construction and the beautiful square "Nicoloso da Recco. My name is Alessandra, I'm the owner of Elisa's House and I am an avid birdwatching and trekking fan. I love to visit antique markets, read fiction books, but especially poems and sonnets (my favourite poet is William Shakespeare), go to the movies (my favourite Italian director is Pupi Avati while the American one is Steven Spielberg). I love cooking and of course eating the typical dishes of Roman cuisine. My motto is: hospitality, professional skill, reliability and courtesy. With a short walk you can reach the Piramide, Porta San Paolo, Testaccio's district (15 minutes walk) - with its night clubs , pubs , restaurants and taverns in the traditional Roman cuisine - and the flea market Portaportese for shopping on Sunday morning It is also possible to reach Terme di Caracalla, Aventino, Circo Massimo, renaissance public park Villa Celimontana and Colosseo. Walking you can also reach Eataly, the largest space in the world dedicated to the food , catering and teaching of eating. 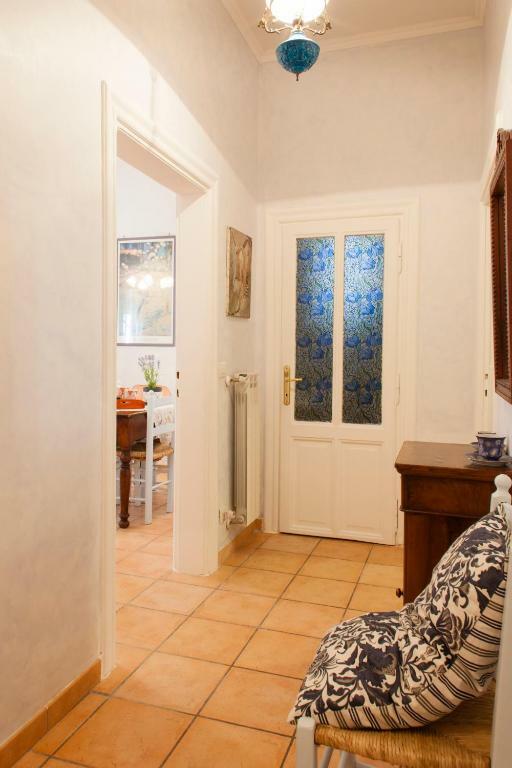 Area Info – This neighborhood is a great choice for travelers interested in Roman Ruins, old-town exploration and ancient landmarks – Check location Excellent location – show map Guests loved walking around the neighborhood! House Rules Elisa's House takes special requests – add in the next step! ATM card Elisa&#39;s House accepts these cards and reserves the right to temporarily hold an amount prior to arrival. Elisa's House accepts these cards and reserves the right to temporarily hold an amount prior to arrival. Please inform Elisa's House of your expected arrival time in advance. You can use the Special Requests box when booking, or contact the property directly using the contact details in your confirmation. We think , that kitchen needed in renovation . Smell of cat urine in the entrance. Everything was fantastic the only thing i would say is you could hear the neighbours in the surrounding apartments. But this is to be expected in such an old building. Alessandra was one of the best hosts we've ever stayed with. From the very start when we first booked she kept in touch and was happy to answer any questions we had regarding our stay. On arrival she welcomed us very warmly, it was like meeting an old friend. 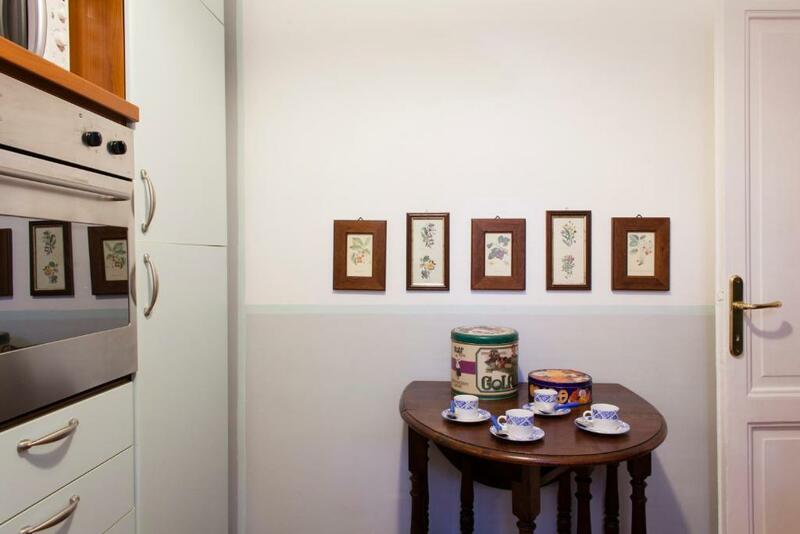 She then showed us around the apartment which was clean and very homely, and over coffee gave us lots of information and advice on the best things to do during our stay. The welcome pack was amazing, she had left us plenty of snacks (croissants, bread, jam, butter, biscuits, tarts, fruit and sweets) and drinks (coffee, tea, milk and cold water) to keep us going until we went to the shops and longer. There was also internet tv which I wouldn't usually use but as I'm 27 weeks pregnant I was very tired after spending the day exploring so the tv was very useful in the evenings. The location was also great, just a short walk to the metro and then only 2 stops to reach the colosseum, which was the area we spent most of our time. The area where the apartment is situated is a very quiet residential area and felt very safe to walk around. Overall we couldn't have been happier with our stay. The flat is in souterrain which should be mentioned. However, this was okay for us. Besides this, the bathroom was a bit small and basic. Nevertheless, it was sufficient. I had an amazing stay at Elisa's House. Alessandra was very welcoming and communication with her from the moment I booked was seamless! She arrived an airport taxi for me and met me at the property late at night when I arrived after a very long flight from Melbourne. When we met, it felt as though I had known her for such a long time. She was warm and welcoming and attended to everything I needed. Alessandra's passion for her guests is so clear and she puts her heart and soul into making sure that guests are welcomed and feel comfortable. 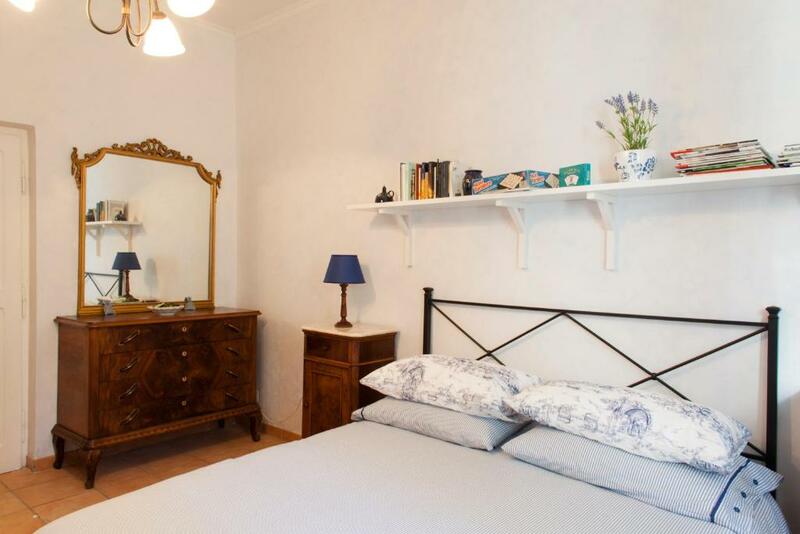 The apartment is in the basement of a charming building and is so cute! The furnishings are lovely and very comfortable and cosy. The kitchen has everything you need. It is in a charming street which is quite and safe. There are snacks, tea and coffee in the apartment, but there is also a supermarket a short walk away, as well as restaurants. The place is very quite, so perfect for a good nights rest. Thank you so much Alessandra for your amazing hospitality! 100% recommend!! The house was amazing! Very confortable, near the train/metro/bus station. The street was quite and safety. Also, Alessandra was very very friendly and nice person. You should choose this house. Quiet neighborhood, near public transport facilities, supermarket, etc. the host (Alessandra) is very kind and helpfull. She gave the advises and very usefull information for us to take the most out of our hollidays in Rome. We loved it. What a welcome. The host took her time to explain where and how to visit the beautifull places of Rome. Thanks to this explination we have seen a lot in a short time. The accomodation was everything and more than we expected. It was a great place for the price.